7 Embarrasingly Failed Predictions of the Global Warming Movement. Just for fun, I thought I would share some of my favorite Global- Warming Climate Change, Global Climate Disruption predictions by some of the best and brightest! To be fair, I don’t blame them for being so inconveniently wrong. I’m pretty sure God is just messing with them! Let’s jump right in with this gem from the very first Earth day in 1970. 1) “Population will inevitably and completely outstrip whatever small increases in food supplies we make. The death rate will increase until at least 100-200 million people per year will be starving to death during the next ten years.” Paul Elrich, famous Population freak out guy. Spoiler alert: that didn’t happen. Moving on, let’s jump from the 70’s to the 80’s. Who doesn’t like the 80’s? Having just visited NYC recently I would like to assure you that the West Side is not underwater. And the windows are tape free! Hooray! His ending prediction is my favorite. Now, lest I am accused of being outdated, I will jump to more current predictions. 4) In March 2000 “senior research scientist” David Viner, working at the time for the Climatic Research Unit (CRU) at the University of East Anglia, told the U.K. Independent that within “a few years,” snowfall would become “a very rare and exciting event” in Britain. So obviously the very next year, snowfall across the United Kingdom increased by more than 50 percent. Because God is so funny, right? 5) In 2001, the IPCC (Intergovernmental Panel on Climate Change) predicted that the planet would see “warmer winters and fewer cold spells, because of climate change. See Boston? It’s totally fine!! I’m sure this winter will be the one when the snow doesn’t reach your roof tops. Then in 2009, at a summit in Copenhagen, he said there was a “75% chance” they would be gone in 5-7 years. The Arctic ice volume as of summer of 2013 had actually expanded more than 50 percent over 2012 levels. In fact, during October 2013, sea-ice levels grew at the fastest pace since records began in 1979. Many experts now predict the ongoing expansion of Arctic ice to continue in the years to come. Ok, I could go on and on and on. But let’s draw to a close here. In this piece, (which is still online!!!!) the BBC highlighted “modeling studies” that “indicate northern polar waters could be ice-free in summers within just 5-6 years.” Because their “experts” and “super computers” that they always use said so! In fact the sea-ice area in the south is now at the highest point since records began. How many times do they get to be embarrassingly wrong before its considered socially acceptable to… maybe… have a few doubts about their predictions?? The bottom line is this: As Christians we are supposed to be good stewards of the earth. That was God’s idea. The reality is, however, that the green agenda has very little to do with actually doing just that. The good news is that there is so much real information and truth out there to be found. When will you ever use algebra? As a math person, there is a question that I get asked incessantly. When will you ever use Algebra??? Ah, thank you Mr. Dewey! If you are old like me, then when I say Dewey, you think of an antiquated card filing system from the library. The one of whom I speak is the one that ruined education and is the reason you ask me this question. No one would have asked this question back when Benjamin Franklin was writing the constitution. What is the point of learning something? Really? Ugh. So I hesitate to even write this blog. 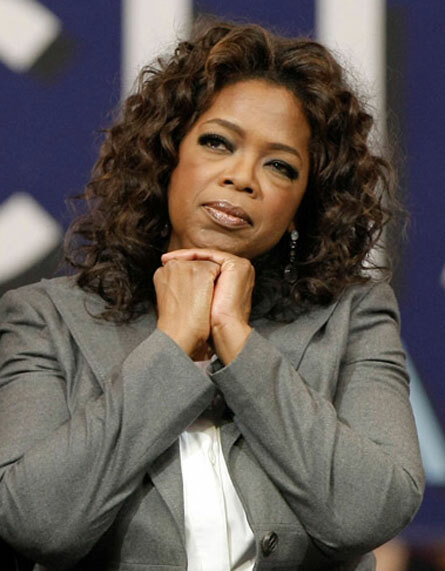 But in the spirit of education…..I must. Fine. So you want to be all utilitarian on me? I’ll humor you. 1. It pays! The top 15 (yes FIFTEEN) highest-earning college degrees all have one thing in common — math skills. That’s according to a 2009 survey from the National Association of Colleges and Employers, which tracks college graduates’ job offers. Check out how math compares with those other majors!! “Why are we learning this?” you ask. How about so you can provide for your family? How about so you have a better chance at actually liking your job? Good enough reasons? Great! Are there other ways to provide for your family? Obviously yes. But when do we decide that? Second grade? Ok, you will be a realtor. 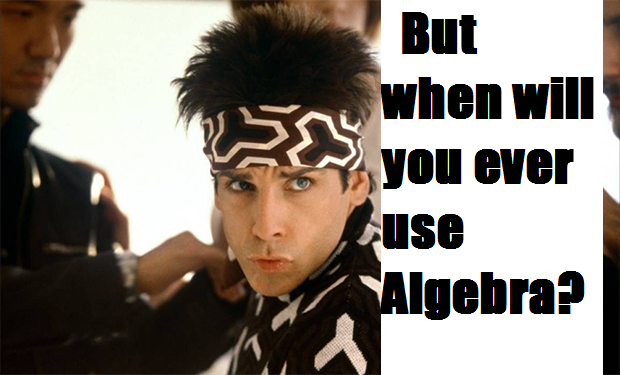 No algebra for you. No. Of course not. Why limit yourself? Put in the hard work. Study like you mean it. And leave your options open. There are countless jobs that will look at your math success and be pretty impressed. Why? Because succeeding in math means that either you are pretty smart or you work really hard, or somewhere in between. Employers seem to like those qualities. There, algebra helped you. No, that’s ridiculous. Of course you won’t be doing those exact movements. The point isn’t to be able to do lunges, the point is to work that muscle and get in optimum shape so that you can further your fitness goals and operate at peak physical capacity. 3. To know God and make Him known! If you are a Christian, then this alone is a reason to study math. God invented it, uses it, reveals Himself through it and on and on! Discoveries in math are so divinely designed that people once worshiped the creature rather than the creator and started worshiping numbers. On the other hand, I remember the first time I heard Chuck Missler, (mathematician/pastor) speak, it was as if I had heard the Bible in a way I never imagined possible. The marriage of mathematics and theology is nothing short of miraculous and beautiful! If you run from math, you will be missing out on knowing a part of God you can only learn about through studying that realm of His design. He is a math God people. Face it. 😉 When you study anything that He created and designed you will learn more about His principles and character and literally just be in awe! Oh yes, when you see how beautiful a proof comes together, you can’t deny the power of God! GP are you with me? I can hear you now…. Actually. Yes. That is exactly what I think. What I mean is I just may be smarter than you in math. And some of you are smarter/better/more knowledgeable in art/history/science/ or music. The reality is that learning is good for you. It makes you better. Period. Learn about something. Turn off the T.V. And pick up a book. Any book. Enrich your mind. Learn algebra. You will be better for it. Learn history. Lord knows someone needs to! Find out why the Crusades started for instance! Learn about science. Real science. Not fake “It’s a baby if you want it to be” flat earther science. Because when you ask “Why did I need to learn algebra?” I would say, “Why not?” And for that matter why is no one asking “Why did I need to learn kickball?” or “Why did I need to memorize elements on the periodic table?” How many adults are using either of those skills on a daily basis? Let’s get to the real issue. Algebra can require a lot of practice, hard work, and firm foundation with facts. So the real question is, “Why do I have to work hard when I don’t want to?” And this is what so many seem to struggle with these days. Why do I have to sacrifice my needs when I don’t want to? Why do I have to be kind when I don’t want to? Why do I have to humble myself when I don’t want to? Life is full of opportunities to work hard and show diligence in a challenging situation. Those are all skills sharpened and taught in algebra. For some people these skills come more naturally than others, but regardless of whether they are learned or not you are still using principles of algebra. Ok. Let’s say that is true. I could say, “I am fit and in shape and I never do lunges.” Well, first of all, the premise may be debatable. Second of all, regardless of how smart or in shape I am, when you don’t exercise (brain or body) you will be less than what you could be. The reality is that you are following the principles God has established whether you acknowledge Him or not. Similarly, you are applying the principles found in Algebra whether you acknowledge it or not. 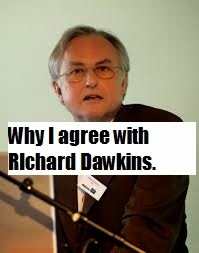 Why I agree with Richard Dawkins. I admit, my initial response was mostly emotional. What a disgusting thing to say! I have friends that have children that are beautiful and happy and also have Down syndrome. I was furious for the pain that they endure, not because of their child, but because of idiotic comments like the one from the best and brightest the atheist world has to offer. And while I am a woman and definitely an emotional being, I also love math and logic which is the real reason why I had a definite problem with Richard Dawkins comment. Now, don’t get me wrong. I am under no delusions that for one moment I could win a logic dance-off with RD, but his claim….it’s a mess!! He then goes on to explain that it is simply for the welfare of the child that he came to this conclusion. How generous. So let me see if I can figure this out. Children with Down Syndrome suffer. Bringing a child into the world that will suffer is….. immoral. 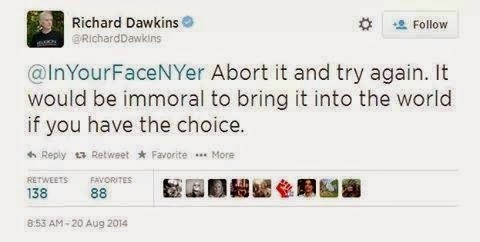 Well Mr. Dawkins, I actually agree with half of your statement. Children with Down Syndrome suffer.That much is true. You know how I know that? Because every human on the planet suffers. However, do you know what other types of children suffer? And arguably more then a kid with DS? You know what other group of children suffer? Spoiled children of rich parents. You know what other type of children suffer? Child actors. They are a mess!! I wonder if there is a prenatal test for the genetic predisposition to go into acting? Then Richard D. could campaign their abortions too. I mean, all this poor, misunderstood, lover of humanity wants to do is end the suffering of children by killing them. Don’t be so hard on the guy! Yes, children with Down Syndrome suffer, but hey Mr. Science and Reason guy, can you measure suffering? Because, if you can, wow, that’s impressive. What is the formula for that? Yes there is no way to measure suffering, yet you are sure this one group of people are better off not existing because of their degree of suffering, right? All of them? They suffer so intensely that they would be better off non existent? None of them are ever happy, and sweet and actually the most unconditionally loving people you could ever meet? Yeah, just admit it. That comment was not only absurd, but also very un-sciency. Suffering. You can’t measure it. And yet even if you could, what algorithm, exactly, would you use to determine if ones suffering renders their existence a total mistake? Here’s an idea. Why not ask a grieving parent who lost their child, if they are suffering? Now ask them if they wish their child would never have been born…ya know…because then they could have avoided all that suffering. Here’s the thing. Suffering does not equal lack of joy or purpose. But now I am using all kinds of crazy words. Joy. Purpose. Sorry about that. Ok, I know, it sounds like I don’t agree with Mr. Dawkins, and now you are frustrated with my misleading “bait and switch” title. But wait! I really do agree with him! Here is the quote with which I completely agree. In other words, he is merely taking a pro-choice philosophy out to it’s logical conclusion. If that unborn baby, that fetus, has no value, has no rights, is not a life, then who cares what the reason is! Just abort it. Wrong gender? Abort it. Wrong timing? Abort it. Going to interfere with your modeling aspirations? Abort it. Going to have a chromosomal abnormality? Of course! No brainer. As foolish and revolting as his initial comment was, this fact remains. That comment flows perfectly and naturally from his evolutionary pro-choice stance. So why, pray tell, is everyone so shocked? Why is there such outrage? The reason is simple. Hardly anyone takes their pro-choice philosophy out to its logical conclusion. They say things like, “It’s a baby if you want it to be.” (So scientific) Or “yes, decapitating babies is gross, but who am I to tell a woman what to do with her body.” Huh? No matter how obviously illogical these statements are, people continue with these ridiculous arguments for abortion. because they must cling to their “freedom” whatever the cost. The cost in this case is logical inconsistency. 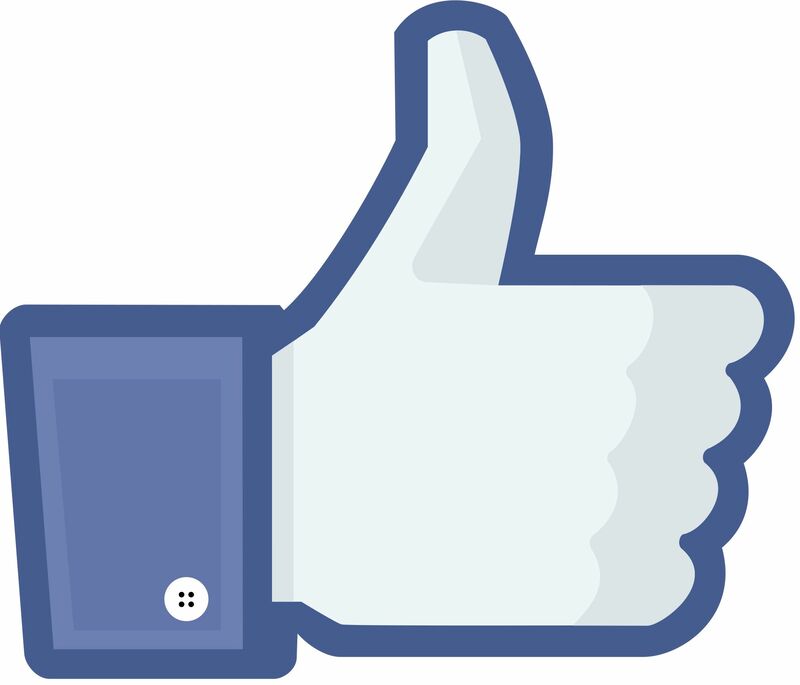 I have to admit, when I took to the twitterverse and saw all the magnificently dissenting opinions, I felt relief. Ahhhh!! People do have souls! Yay! The internet can still distinguish evil! Hooray! All is not lost! Yet my comfort was fleeting because I knew the truth. I sat there at my computer deflated. Yes, the majority of tweeters are using their twitter handles to blast Dawkins and his morally depraved views, but does that really match popular opinion? Does it accurately reflect what happens statistically? Or is everyone just mad that he said it out loud? Are they feeling betrayed because he pulled the back the curtain on the truth of the pro-choice philosophy? The internet is a liar. Because if people were honest, there would have been no backlash. There would have been no blogs on Huffington Post making a joke out of the whole debacle. If people were honest, 90% of them would have “favorited” his comment. Because statistics tell us that most people agree with him. Yes, over 90% of women that get a down syndrome diagnosis will abort. Yes Dawkins, you are right when you say that your comment flows perfectly from your world view. And I can imagine how shocked you were when you were attacked by the very people that are normally on your side. You will have to forgive them because they are just not smart enough to take your espoused views to their logical conclusions. And to you, I am truly thankful. I am thankful that you said it out loud. I am thankful that you exposed the pro-choice philosophy for all that it really is. Because of you, I know right now someone out there finally gets it. So before I conclude, that person is the one with whom I need to talk. With all this media attention, all this talk of aborting babies because they had down syndrome, all the apparent outrage over taking the life of an innocent, there is someone else out there that may understand now what they didn’t realize then. You see, like many others, we too were told that our first baby girl had all the markers for down syndrome. But we refused an amnio because we didn’t think knowing was worth the risk. Any baby from God deserved a chance at life. That was an easy decision for us. But I know that it is not an easy decision for all. I know that there are women and men, mothers and fathers that agonized over that same decision. I know that some decided to get the amnio, and in turn, due to complications, lost their baby, a baby that actually did not even have DS. I also know that others chose a drastically different route. They chose to end the life of their child. They believed the lie. They really thought they were doing the charitable thing. They were deceived by men “smarter” then them. Doctors. Midwives. Family members. All lied. And just like that a life was gone. This was a baby, with eyelashes and fingernails and smiles and toes. A baby that was brutally murdered. If that was you, if you made that choice, but now, thanks to Dawkins, you have seen the lies exposed for what they really are, you may feel so much pain that you think you will die. But I need you to know one thing. There is forgiveness at the cross. There is healing from the hand of God. You can find freedom and peace. I promise you. Yes, I am glad Dawkins said what he did. I agree that pro-choice philosophy logically leads one to his exact pitiful and nauseating comments. And I am thankful that he drew back the curtain for all to see the ugliness that comes with the pro-choice world view.But more than that I pray that those that were deceived, would find healing. And I pray that those that are in that valley of decision, would choose life. For more on healing those past hurts: http://www.rachelsvineyard.org/aboutus/ourstory.htmcheck out Rachel’s Vineyard. 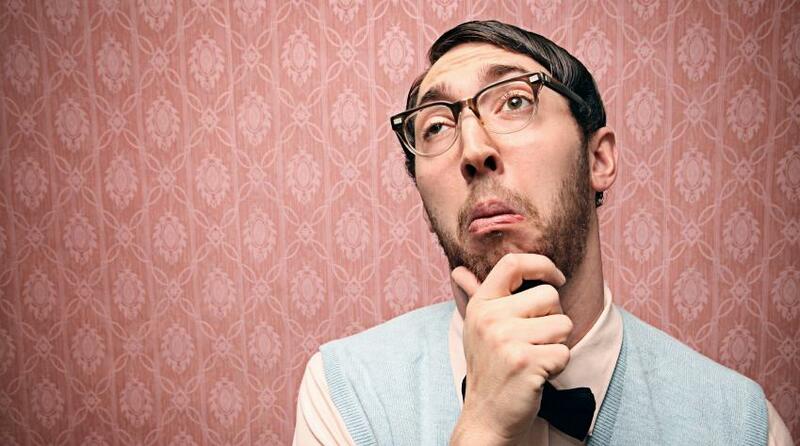 Confessions of a Creationist: When the Bible doesn’t match science. The Bible’s account of creation does not always line up with Science. There. I said it. Now what? Well because of this, some really smart men out there that consider themselves to be Christians, embrace evolution. Regularly, those Christian evolutionists repeat the same words heard in the garden, all those years ago…. 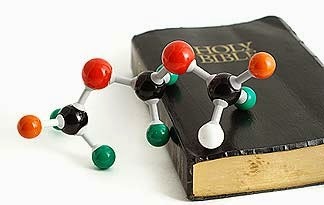 However, the reality that science does not always line up with scripture doesn’t bother me. That’s right. And it shouldn’t bother you either. 1. 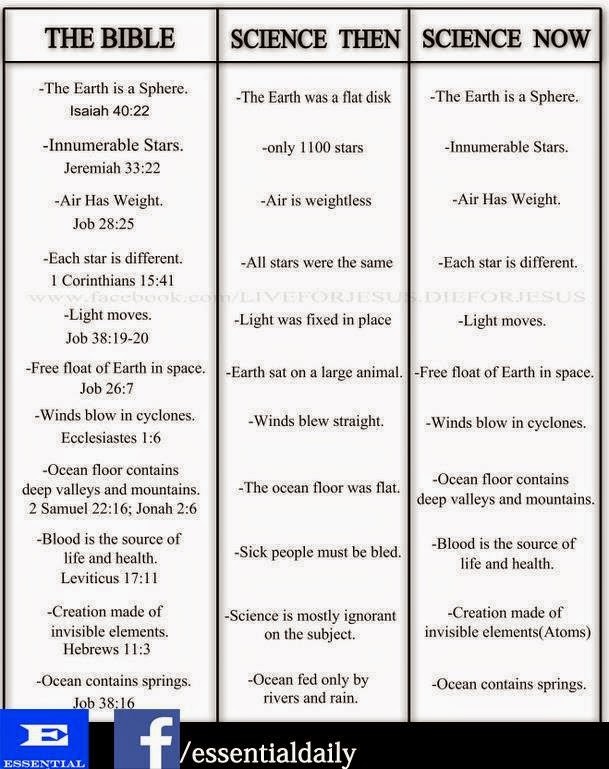 Expecting our understanding of science and the Bible to line up in perfect harmony is ridiculous. Read this carefully. If you are dismayed when science seems to contradict the Bible’s account of creation, how do you feel when “science” does not line up with the rest of the Bible? Yup. Bible says it. But science? A baby born with no male donor? Not possible. The Bible says Jesus did it. But I dare you to find a scientist with the research to back up this unprecedented claim. Seriously, what man has ever replicated that? Not very sciency. And rising from the dead? 3 days after dying? And I mean dead. Not, “Oh, we thought he was dead, but look, he’s alive and kicking in a body bag in the morgue.” I mean heart pierced-water- flowing out dead, but now alive. Yes, there are some real problems in the Bible conforming to some apparent scientific data. But creation is definitely not the most egregious. The One that created the laws, has a way of making those laws fit what He declares to be true. It’s called a miracle. 2. God uses the foolish things of the world to confound the wise. So saying things like, “Well, they are really smart, and they believe this” does not an argument make. For instance, a lot of these really smart thinkers will claim that they believe the Bible and evolution. But once you dig deeper into their theology, it’s clear that they really don’t believe the greater part of the Bible. This brings us back to number one. They are producing theories to try to make the Bible line up with science, when God never asked them to do any such thing. Because, logically, if you are going to do that, wouldn’t you start with the resurrection? I mean, I hope that we can all agree that the resurrection is the most important event detailed in the Bible. So why then, don’t the Christian evolutionists try to tell us what actually happened at the tomb? Surely God didn’t mean that Jesus rose from the dead. We all know that doesn’t line up with science. Listen, I am not saying to check your brain at the church door. In fact, please don’t! But when choosing what to believe, the Bible has to win. It is written by the one that is the Alpha and the Omega, the beginning and the end. The problem with any apparent discrepancies is that science just hasn’t caught up with God yet. For instance, Revelations says that the whole world will see two prophets die. Ten years ago, one would have said, “Preposterous!” “Impossible!” How could the whole world see a single event at one time. But now we know that 90% of the world can see any given event in minutes, seconds even. Time after time, predictions that we couldn’t possibly understand at the time have come true. 3. They know the truth but refuse to repent. The reality is that some of these brilliant scientists actually know that some of what they are saying is a complete lie. The soldiers that knew that Jesus rose from the dead told the authorities that Jesus rose from the dead. And what did these authorities do when confronted with truth? Nothing. They covered it up. Or at least they tried. Sharing from the pulpit this past Easter, Franklin Graham highlighted this very fact. Those in authority knew the truth, but refused to repent, and determined to lead others astray. Sadly, this is true not only in science, but in everyday life. We grieve the heart of God and destroy the lives around us because even though we know the truth and know what we ought to do, we do not repent. We choose self. I pray that we, the body of Christ, would continue to battle against the powers of darkness on our knees, and in our hearts that we might see fruit in due season. And truth be told, evolution has the same problem. However the major difference is that Creationists can rest on “God said” which easily trumps “Darwin said” any day. God predicted my future…..Does that count Bill Nye? Wow! What a morning. 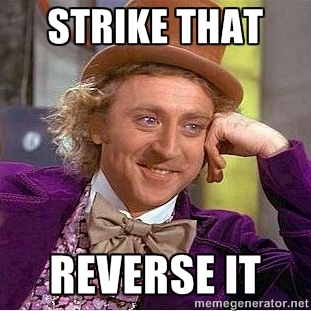 And all this drama on “Clean Sheet Wednesday”? How would I get it all done? Rest assured, the sheets (and you all know there are a lot of them) are cleaned and back on the beds. Phew. But really, how was I ever going to reply to Peter So and So on facebook?? He was getting impatient! He waited 30 whole seconds on before giving me the ol’ “A-HA! I knew you couldn’t answer!” Simmer down now Peter! I have beds to change! After teaching, and cleaning, and lunching, and witnessing unprecedented activity on my blog good and bad, I had to go for a run. Clear my head. Pray for direction. This is what I wanted right? A platform to tell others about Jesus? But man, people are angry and mean. Look, I am a big girl, and have a knack for disregarding crazy and bitter. Nevertheless, angry people can wear on anyone. I don’t know if this is the road I want to go down. In fact from my very first post, (click here to read) you can see my struggle with God. It started when I was a teenager and would enjoy explaining math problems to any that were confused around me. It went like this. They couldn’t understand it. I explained it. They were happy. It was then that I decided to become a math teacher, although I didn’t particularly like math. It was a bit much work for my taste. And that was in just in high school! Ha! I had no idea what I was in for pursuing a pure math degree along with teacher certification. Over and over I prayed for permission from God to drop out of my math major. Biblical counseling sounds like fun! This is too hard! But God refused. “I am not calling you into ministry because you don’t want to work hard,” he whispered into my soul. Fine. I trudged through. And I finished. Then I taught in a public school where over and over I heard from students that I taught who used to hate math, but now loved it! Yes! This is what any good teacher strives for and lots can achieve. However it was not all sunshine and roses. It was also at this school where I learned another important lesson I can use today. Consider the source. After a particularly difficult lesson, a student known for being a regular consumer of marijuana, raised his hand and proclaimed, “I understood this last year when Mr. Hanley taught it, but I don’t understand the way you are teaching it.” Wow. The ultimate blow. The opposite of what every good teacher strives for. But this was Tony. So I was unfazed. “Tony,” I began, “do you think that maybe this was easier last year because you had more brain cells then?” And his response confirmed my theory. He looked around, laughed, and admitted “You might be right.” So there’s that. Consider the source. And then there was last night. I was too tired to watch the debate, until I had to, but I definitely wasn’t going to write about it. I couldn’t. My brain was mush. It was three o’clock in the morning after my hardest day of the week. Fine. I would start writing, but there was no way I would finish. But I did. So for those that were so wholeheartedly offended by my less than perfect grammar, I had been up 24 hours. Give a girl a break. Although, truth be told, even on a good night of sleep, I would never ever claim to be a perfect writer. Ever. So if that is your thing, we should amicably part ways. I don’t see our relationship going anywhere. So back to my run. I called a friend and downloaded, and she advised, and I hung up to pray some more. But for a faith having, God loving Christian, I have to admit I really wasn’t expecting an answer. I didn’t see anything God could show me that would give me peace one way or the other. Until he did. He reminded me of what we have been studying in Psalms that I did not relate to at all when I read it. In fact, in the blog, I either didn’t even mention said verses, or didn’t comment on them because I just couldn’t relate. Until today. But because I was storing them in my heart. They were there, today, when I needed them. You see, over the last 6 hours or so, because of a blog post I wrote here, I have been “yelled” at, mocked, called names, “laughed” at. And on and on. Psalm 7: Don’t be surprised by struggle. Rending mein pieces, while there is none to deliver. For the righteous God tests the hearts and minds. 10 My defense is of God,Who saves the upright in heart. Yes, he conceives trouble and brings forth falsehood. And has fallen into the ditch which he made. And his violent dealing shall come down on his own crown. In this I will beconfident. Today I am thankful for a God who sees the future. And longs to prepare us for it! And that, Dear Impatient Peter from facebook, is something of which I could never be convinced otherwise. And above all, I pray that you would find that too.